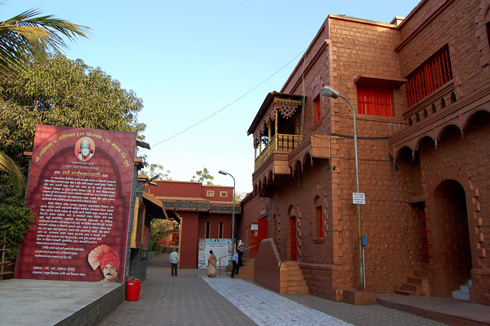 I visited the Mangal Murti Morya Ganpati Temple (also known as Birla Ganpati) and the Sai baba temple at Shirgaon along with the visit to the Ghorwadeshwar Caves. If you are feeling deeply religious, you can ignore the caves and combine the visit with a trip to the Ayyapan/Murugan hill temples. 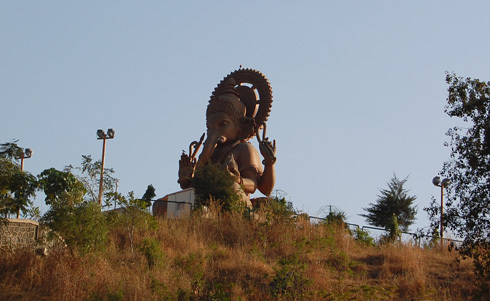 The Ganapati idol is huge and one cannot miss it when you are on the NH4 as you reach the Somatane Toll Plaza.There is a parking place just before the entrance gate. You have to climb around 179 steps to reach the top. Though the number 179 looks a lot, the climb isn’t anything to worry about, as you don’t even feel it OR this number is not just the steps to the base of the idol, have to check on this. This a birla family establishment and the idol was sculpted/created by Maturam Verma and Nareshkumar Verma of Pilani. 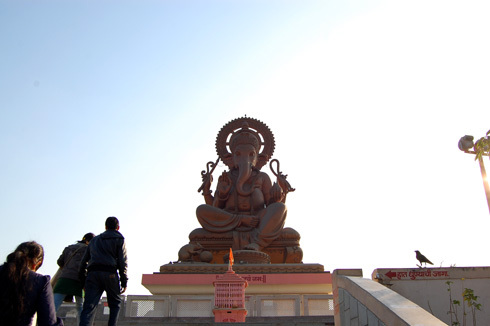 The idol is 54 feet high, placed on a 18 foot pedestal which is 45 feet wide. As you may noticed (and was written there), all these dimensions were planned in such a way that they add up to the number 9, considered auspicious. The status faces east. We were there in the evening and hence couldn’t get good photos of the front side. But the metallic surface finish of the idol would look great in the early morning light. So, plan a trip in the morning if you are looking for good photos. This place is also well let up (visible from the expressway too) at night. 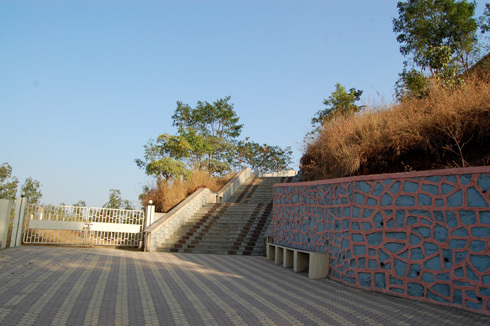 From here, it is a few kms drive across the expressway (through an underpass) to Shirgaon Sai Baba temple. 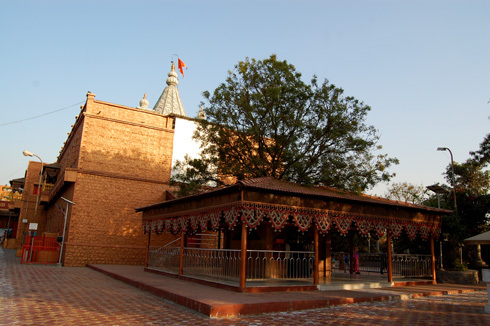 This temple was built as a replica of the Shirdi Sai Baba temple. 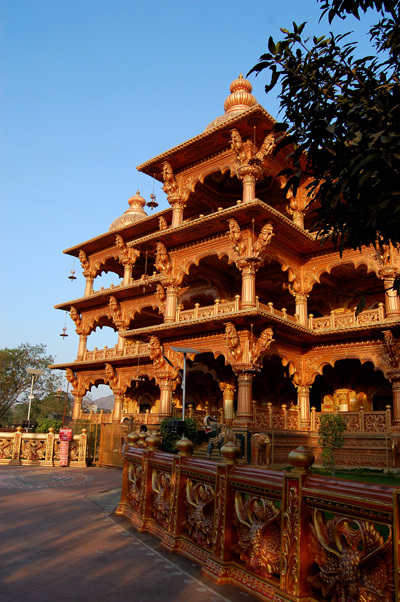 The architecture is meant to resemble the original temple at Shirdi. 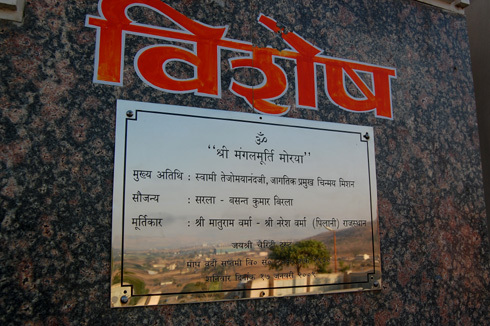 All the daily aartis done at Shirdi are also performed here. Kakad Arti – 5.15 Am, Maha Abhishek – 7 AM, Noon Arti – 12 noon, Dhup Arti – 6.15 pm and the Shej Arti at 10 pm. The temple remains closed from 10.30 pm to 5 AM. 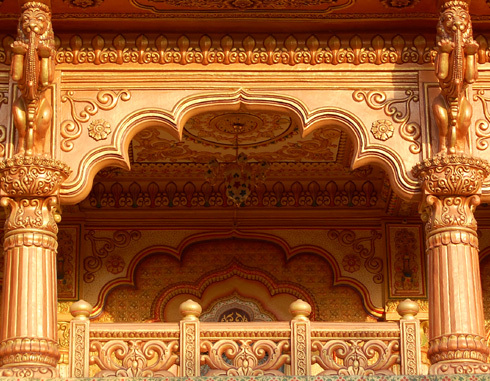 Prasad is available from 12 noon to 3 pm at the Anna Chatralaya, which is an architectural marvel by itself. So, for the ones who find it difficult to make the trip to Shirdi, this is a good alternative, just like the Narayanpur Balaji temple is for Tirupati. 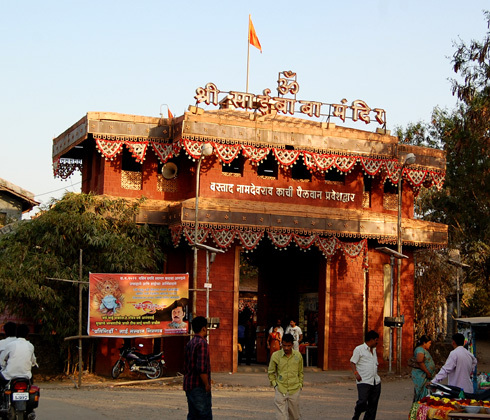 How to go to Shirgaon and the Ganpati Temple: Both these places are just before the Somatane toll plaza on Mumbai Pune old highway (NH4) , around 3 kms from Dehu Road. If you go through NH4, you have to pay the toll of around 26 INR. if you want to avoid it (and explore some inner roads in the process), take the left before the expressway exit and go through Kiwale and Gahunje to Shirgaon. 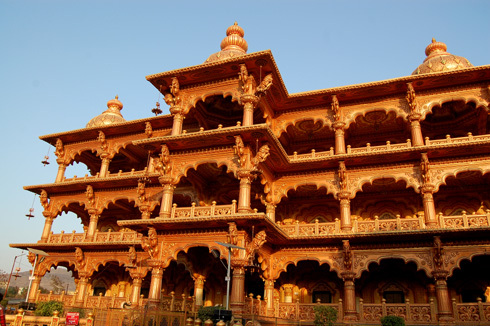 very good places to visit from pune..
Great Job man. very well written tavellog and excellent picture.Great tips as well.you deserve a thumps up..! very nice imgae i llike it.